Select Account. On the next page, scroll down to the Plan Box. It's the second box, under the box marked Profile. 3. 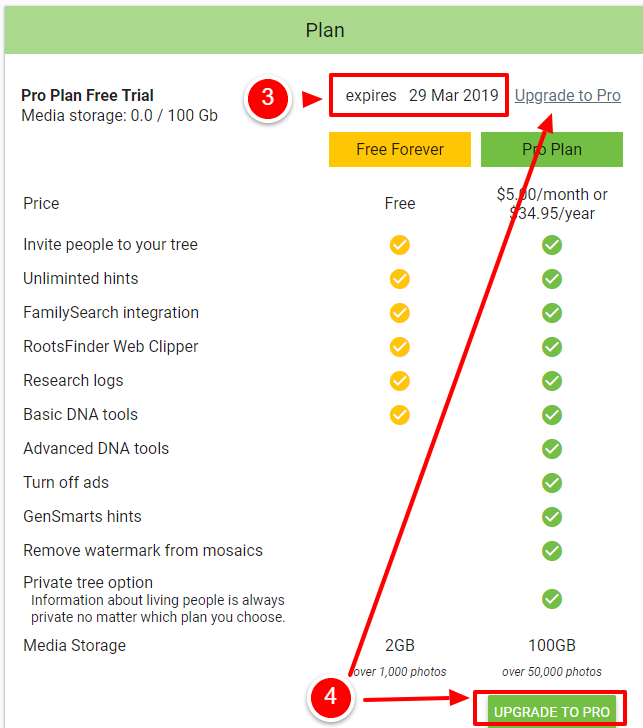 This is the date your 30 day free trial ends. 4. Click either the top or lower button to Upgrade to Pro.